In most cases, I’ll recommend the lens that will provide the best composition, but I always encourage the attendees to bring along a couple of different lenses to create different variations of the scene. Nearly every landscape will provide opportunities for wide-angle, normal, and close-ups interpretations. During one of my recent Palouse Photography Workshops, our group was up before sunrise to capture the first light on the iconic Palouse Barn. Being respectful of the freshly sprouted Winter Wheat, we remained on the shoulder of the highway and used a variety of different lenses and perspectives to quickly compose and capture various images this amazing barn at dawn. Changing position, lenses, and framing creates a diverse collection of images, but it requires vision, dexterity, and the discipline not to “over-capture” 30-40 frames of the same exact scene. 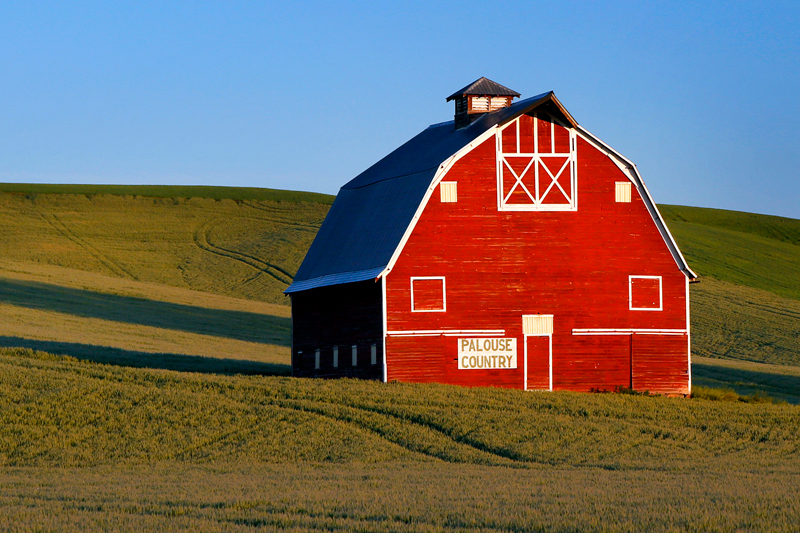 By coaching attendees to change their location and focal length, they all captured a comprehensive collection of the Palouse Barn and the surrounding wheat fields in pristine early morning light. For more information on the 2015 Palouse Photography Workshops, visit the Workshops page at www.jeffreymgreene.com .